While we typically camp in Davis Mountains State Park when we visit the Davis Mountains area, sometimes it’s just too cold, or we’re just too lazy to set up a campsite. 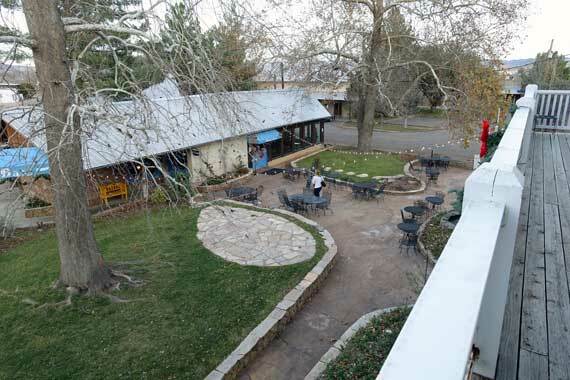 We decided for this trip to stay at The Hotel Limpia in Fort Davis, so we could spend less time putting up and taking down a campsite and more time exploring. 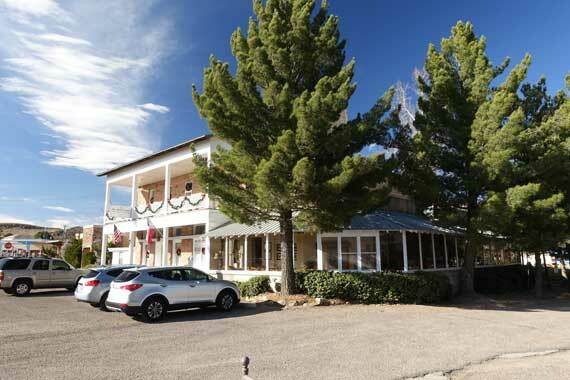 Hotel Limpia is a historic hotel, built in 1912 as a summer retreat for wealthy cattlemen to escape the summer heat of West Texas to the cooler Davis Mountains climate. Management has done a good job preserving the historic nature of the hotel. 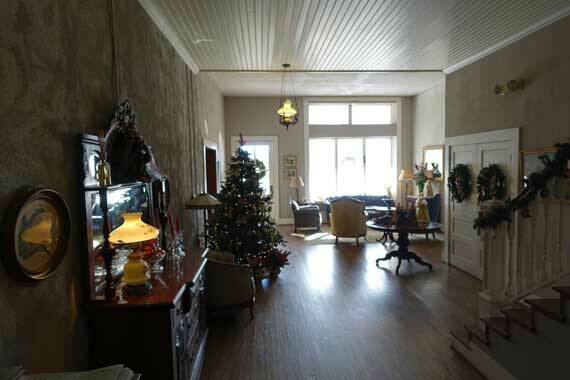 You’ll see some period pieces as you walk through the lobby and some of the adjoining sitting rooms. The weather on our trip was just too beautiful to spend any time inside hanging out. So we just snapped these pictures as we passed through. We can imagine hanging out and staying warm in front of that fireplace during the snowy parts of the year though. 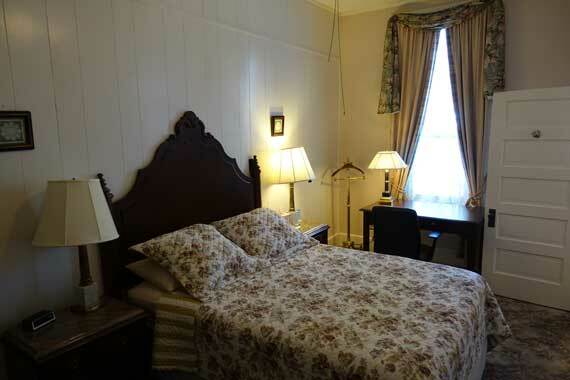 As with most any historic hotel, the rooms are small. People just typically didn’t build the massive rooms like we do today. Remember that when the hotel was constructed, there was no air conditioning. You didn’t want to spend your time inside during the day. Honestly, I don’t understand the point of going to the Davis Mountains and spending your time inside. The landscape is too beautiful to waste it staring at hotel room walls, or even worse, staring at a TV. The patios are what really set this hotel apart for us. There are enclosed patios downstairs where you can sit if it’s too hot or cold outside. We spent most of the evening hanging out on the upstairs patio overlooking the courtyard. 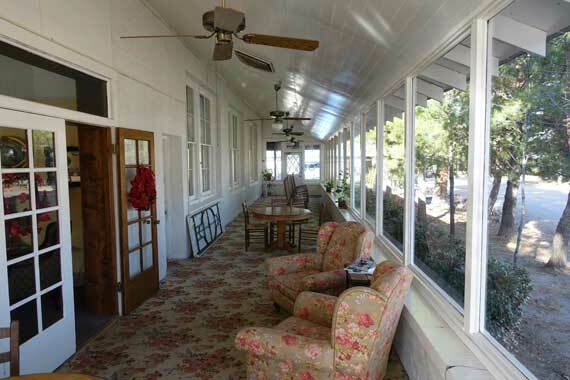 There is also another upstairs patio on the opposite side of the building. 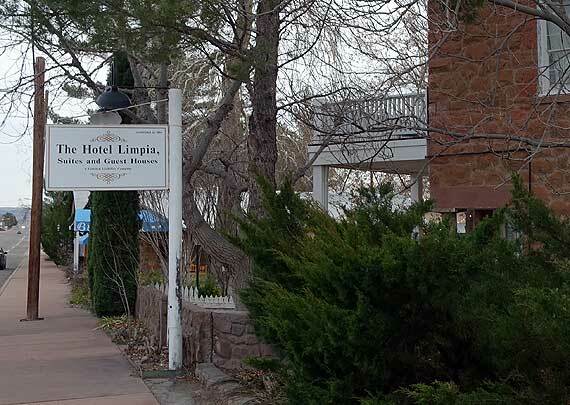 Remember that if you want to stay in the historic hotel, you don’t want to stay at Limpia West. 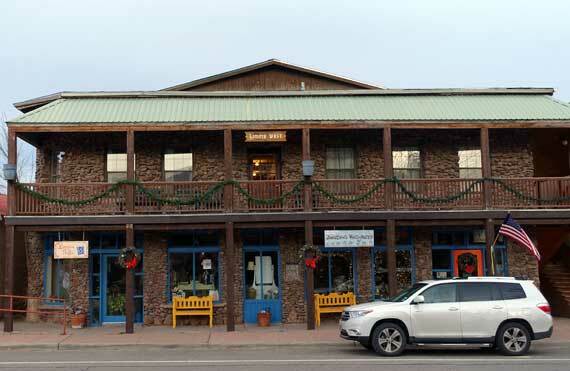 The Limpia West rooms are across the street over the gift shops and not in the main building. Our understanding is that the hotel operates them as “budget” rooms, so they are a bit cheaper. One of the highlights of our stay was Gretchen at the front desk. If we did the kind of five star rating system that you see on other websites, Gretchen would have added a star to the review all by herself. She was awesome. 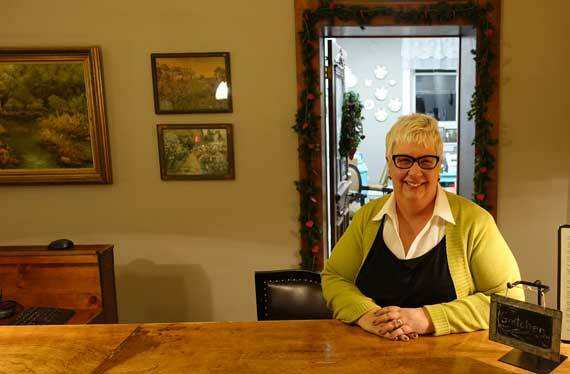 She made us feel at home and you could tell she loved her job and the hotel’s guests. Gretchen and her husband seemed to have a lot in common with us. They got tired of the rat race of city living in Dallas and decided to escape to the West (we were in Houston when we decided to escape). Now they live in one of the most beautiful parts of Texas and work at jobs they love. Congratulations to them for making the change, and congratulations to The Hotel Limpia for having them as part of their team. Also while you’re down in the lobby, keep an eye out for the hotel cat, Limpia. She’s a little chubby and a lot friendly. She sat on the counter and said hi while we checked in. 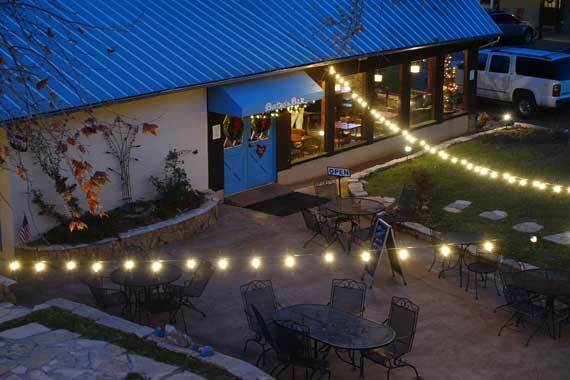 In the evening we decided to stop by the Blue Mountain Bistro, which is connected to the hotel courtyard. In our travels we’ve found that hotel restaurants typically aren’t that spectacular, but we figured we’d give it a shot. We started our meal with the caprese salad. Fort Davis is famous for its tomatoes, so this is something we couldn’t pass up. It was excellent. Generally the challenge for restaurants serving caprese salad is the basil. It wilts fast, so ordering it to a remote location like the Davis Mountains is probably not an option. Our guess is that they were growing it on the hotel grounds somewhere or sourcing it from a local grower, because all of the ingredients in the dish were very fresh. For our entrees we ordered the ‘Linguine with Scallops and Shrimp in a Dill Cream Sauce’ and the ‘Granny Smith Stuffed Pork Chop.’ The flavors of both dishes were excellent. The stuffed pork chop was the perfect Christmas Time dish and I highly recommend it. The breakfast buffet in the morning is about what you would expect for a hotel breakfast buffet. They do keep a never-ending supply of coffee though, which is all I need in the morning. When visiting The Hotel Limpia, even though it’s a historic hotel, don’t expect the extravagance of the Roosevelt in New Orleans, or even the Gage Hotel in Marathon, but remember, you’re paying less than half the price of those historic hotels. 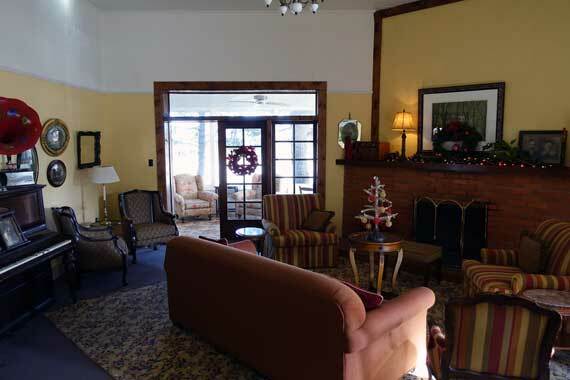 The hotel could use a renovation, but it’s clean and they’ve done a good job maintaining its historical aspects. I know that room prices would have to go up dramatically to pay for a large-scale renovation, so I’m perfectly content with the hotel as is.